Thailand is a diverse country in regards to its culture, food and landscape. It is located right in the heart of Asia and unlike any other South East Asian countries, Thailand had never been conquered and colonised by any foreign countries like England, France or Netherlands. Therefore its cuisine mostly comes from their ancestor kingdom heritage with heavily influenced by surrounded neighbouring countries such as China, Laos, Myanmar and Malay. Having moved out from Australia 3 years ago, I have been living in the Central part of Thailand to follow my husband. In these 3 years, I have been travelling extensively throughout all of the 6 regions and more than 50 cities in Thailand. My little family consists of my husband, me and my not-so-little anymore (now 5 years old boy) love to travel especially interstate road trip travelling. Driving around Thailand can be very fun. Due to the road condition which is decently good with heaps of petrol stations along the way. It may sound funny right; everyone might wonder what is so good about the petrol Station? If you have ever been here especially driving outside of Bangkok, you would easily understand what I mean. In here, the petrol station is not mediocre and far from just providing petrol and toilet service. There are 7-11 convenient store (that selling nearly everything), variety of restaurants and cafes, food and drink stalls and even souvenirs shops. Some bigger stations also have cloth stores and Thai message services too. Normally, different province you drive pass by they will sell specific products and food that represent local produce in that particular area. That's why for us, we are not only looking forward arriving the destination place but on the way in the car is a journey itself. In this post I will specifically focus only the Northern part of Thailand which is my favourite region from all. The weather, the people, and the food are all great. Flawless to be precise. Northern region is scattered with numerous mountain ranges and series of rivers flow through the city. With relatively higher latitude than any other regions in Thailand, make them have cooler climate with 3 distinctive seasons in a year, which are summer, rainy and winter. The beautiful mountainous and panoramic view attract a large number of both local and foreign tourists especially in the cool weather season. Not only popular with their breathtaking landscapes, they also possess a long and rich history of Lanna Kingdom. Chiang Mai, Chiang Rai and Mae Hong Son are some of the cities that belonged to Lanna Kingdom in the past century. Their cuisine is mainly a heritage cuisine driven by authenticity and nostalgia from the past Kingdom. Northern region is also known for its diversity of ethnics and regional groups, such as Burmese, Lao, Hmong, Karen and Southern China Jin Haw. As its location is crossed with other countries border. All melds together to influence the northern Thailand's unique cuisine, with its intense flavour and international notes. The Northern dishes are easily distinguished from many local Thai restaurants you've encountered in Bangkok. The flavours tend to be mild, less spicy and often relying on other dried spice flavours yet also very complex. With the great range of mountains, it makes them broadly use pork and fresh vegetables and aromatic herbs that they can grow and farm around there. A lot of preserving meat (sai ooa or fermented sausage) and smoking meat is used by the locals. Nam phrik ong is a delicious dish loved by both locals and tourists. It is a healthy dish yet very pungent and tasty. Nam phrik ong is an assortment of seasonal fresh or steamed vegetables served as a compliment for the main 'hero' of the dish which was the chilli paste dipping sauce. The chilli paste is made from streaky pork with balance flavour from chilli, sugar and salt. It is nice to enjoy it on its own or made a great compliment as a side dish. The local governments intensely preserve their traditional cultures and cuisines and heavily promote them to the outside world so that the tourists could learn about it and enjoy it as well. 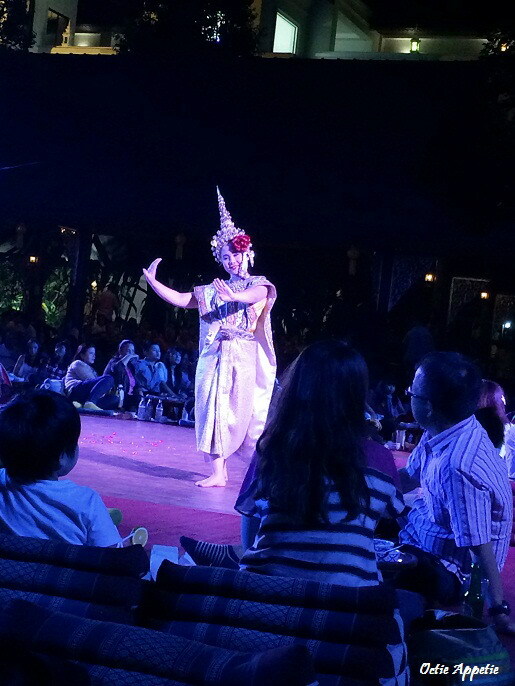 Such as the Kum Khantoke dinner show. The word 'Khantoke' itself mean the wooden round table that locals used everyday to serve the set of Northern dishes at home. And Khum Khantoke is where you can sample a few ranges of authentic and traditional Northern dishes such as nam phrik ong and sai ooua while enjoying the ancient Lanna dance performances. It costs us 650 bath/person that includes unlimited local food and drinks as well as dance performances. Early reservation is highly needed for this dinner show. After wrapping up with the dinner show, they then asked the people to join and gather at the outside yard to participate in the Yi Peng ceremony. The ceremony that most of locals do by lighting up the lantern and rising it up to the sky. This way is believed to let go the unfortunate things. 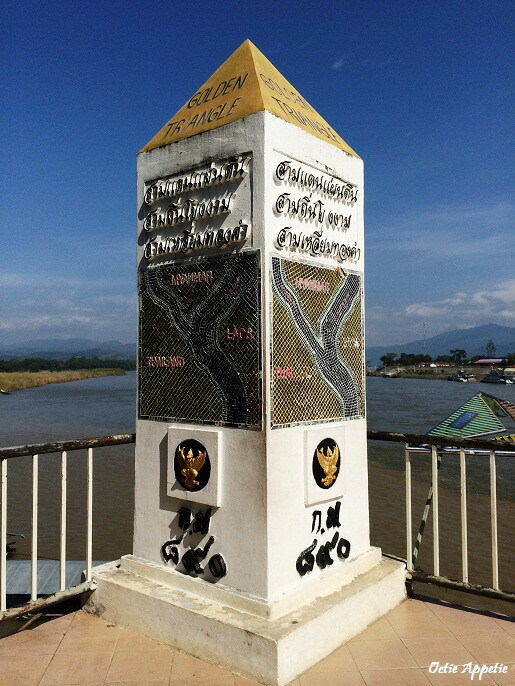 Let's move further up north, it lays three border countries between Myanmar, Thailand and Laos separated with Mekong River. The way of living, the food, even the language is pretty similar in a way. People live near the river tends to have a slow pace and peaceful lifestyle and this effects the way they prepare the food as well. Khao soi is one of the perfect examples of the dish that influenced from Myanmar and India. The Burmese introduced curry and coconut thingy as they migrated to Thailand and brought their cooking method as well. Khao soi is an egg noodle flooded with rich and fragrant coconut based curry soup then topped with crispy deep fried noodle. Finally, it is served with preserved vegetables and fresh red onion to enhance the taste as you like. Just separated by the mighty Mekong river, Thailand and Laos sharing similar language and food. Their everyday meal has sticky rice involved. Sticky rice is the national food for Lao people. Papaya salad, larb and grilled chicken are the top three dishes that go very well with sticky rice. This type of food would be better to enjoy together with family or a group of friends. Sharing is caring. Another great example of dishes that influenced by Myanmar is type of gaeng or curry. Clear or coconuty, they both now become part of daily food for locals to cook at home and broadly serve in the restaurants across Northern region. The curry is infused more with spices like turmeric, tamarind, ginger and garlic to provide a depth of flavour yet is lighter than any curry in India, so it is easy to take in for first timer. The northern most of this area is called Pang Ung which is the last village before the Thai-Myanmar border and are mostly Chinese immigrants moved from South China. They brought their cuisine along with them to the area and adapted it to suit the Thai people palate. One of the most popular dish is Yunnan feast stewed pork leg which was a big chunk of pork leg that had been marinated and stewed for nearly overnight to totally absorb the flavour and spices and make the meat just melt-in-your-mouth. It is normally served with Chinese bun that as soft as pillow. Having this meal accompanied with aromatic tea is like cheese and wine, they always go well together. Besides enjoying the Northern Thai cuisine, there are so many activities and attractions can be found in this beautiful region too. Blessing with rich heritages and cultures, many temples are great places to visit such as a very fame Rong Khun temple in Chiang Rai. A masterpiece project of master Chalermchai, one of the most beloved artist in Thailand has been constructing for over a decade and it is still ongoing. Everyday tons of tourists from around the world flocked into the temple just to witness the glittery white temple hall which epitomise the wisdom of Thai Buddhism. Visiting the Pang Chang Mae Sa (elephant sanctuary) in Chiang Mai can never also be crossed out from your itinerary. With over 100 elephants raised in this sanctuary living very closely to their natural habitat. You can see elephant bathing, performing, painting and even riding it to the jungle under the supervision of the local elephant keeper.